While the upper course of the River Krka is crowned by its national park status, its lower course is bejeweled by the docile and picturesque towns of Skradin, Zaton and Raslina. On the Krka Riviera you can enjoy the stunning river canyon and the dining specialties found in brackish waters. The best way to explore the Riviera is by boat, but the well-maintained dry land paths can likewise hardly disappoint. The karst landscape interspersed with walking trails has made the lower course of Krka an oasis of recreation and relaxation. Deep in the gulf of Šibenik, by the entrance to (or exit from, depending on your direction) Prokljansko lake, the town of Zaton awaits. It will delight you with its old stone houses and and the Marine Friar, a sculpture of the monk seal. An exceptional congruence of natural conditions has made this area a popular site for rowing competitions. 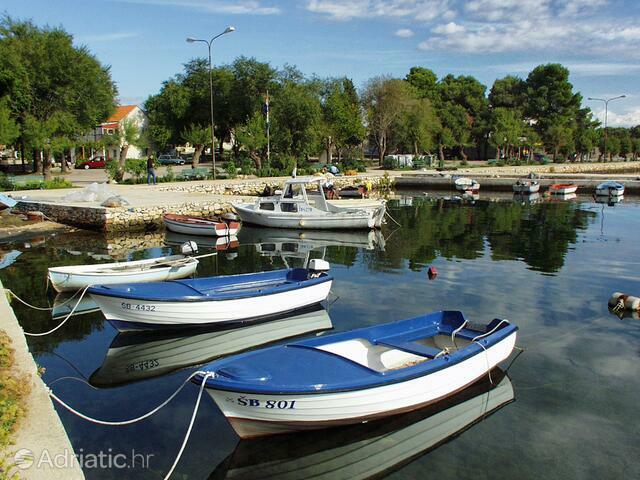 Nowadays, sailors bound for the Krka National park and training rowers are equally likely to be found in the brackish waters of Zaton. If the dry land holds more attractions for you, the Krka Riviera invites you to a three-kilometer walking path suitable also for cyclists. 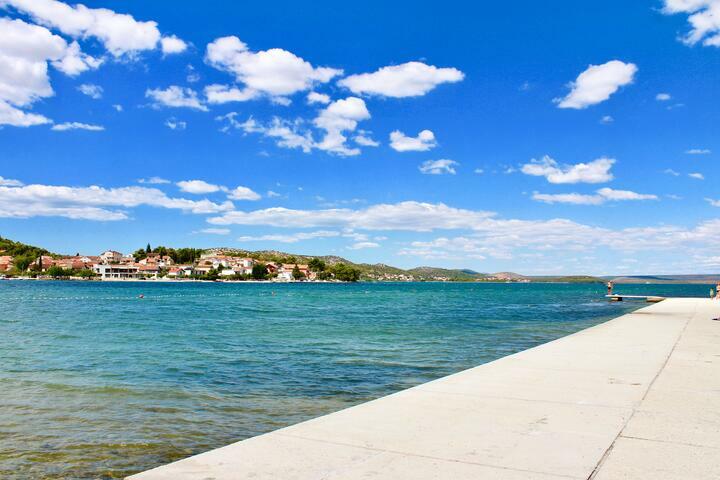 If you go on upstream from Zaton, or follow the coastline in the same direction, you will come to the town of Raslina on Lake Prokljan. 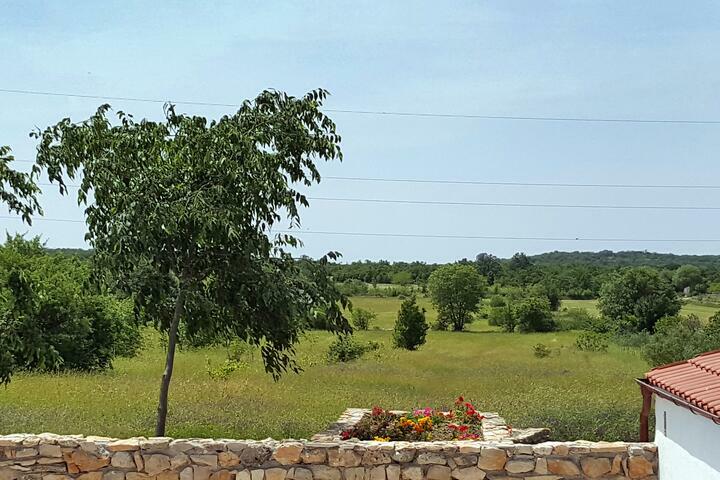 Submerged now by the towns hatchery, the remains of ancient architecture point to the rich past of the Krka Riviera. 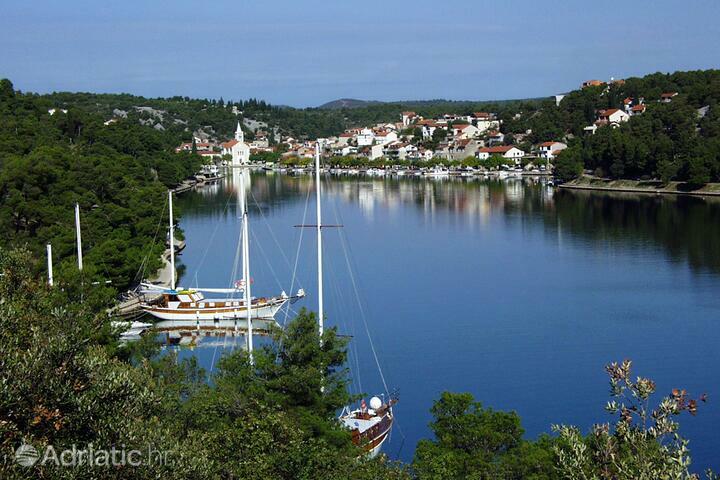 The old town core of Skradin is a protected cultural monument. Narrow, romantic Mediterranean streets overseen by a hill fort - a view of Skradin and Krka with its canyon from high above will make you feel like a ruler of this pearl of a town in front of you. 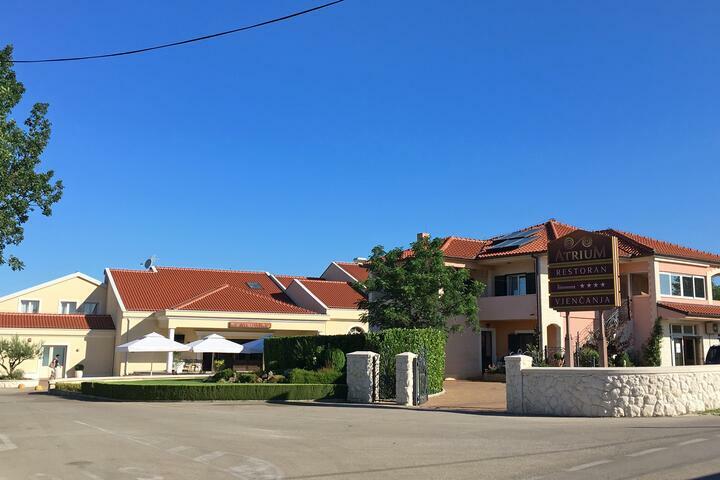 Alongside the archeological finds, a specialty of the brackish lake are its unique specialties, which find their way to the tables of most restaurants on the Krka Riviera. Eels, sea bass and mussels, which grow seven times as fast here as they do in salt water, have a particular, unforgettable flavor. The Skradin cake, a delicacy of almonds, hazelnuts and honey will round up the dining experience of the love story between the river and the sea. A drop of refreshment can be found in a glass of the award-winning local wines in one of the tiny streets replete with history and culture. 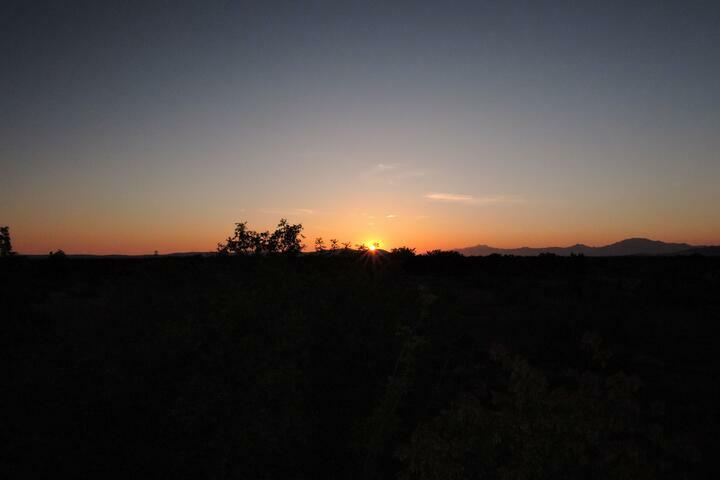 Raslina, Zaton and Skradin are ideally suited to be the starting point of a relaxing holiday enriched with day trips. A cycling quest for the "Croatian Troy", a Roman-era archeological site, will surprise you with the nearby remains of a medieval fortress. Party people will not want to miss Vodice and Šibenik, while adventurers will enjoy rafting on the Krka river and bungee jumping off Šibenik bridge. Be sure to visit the Krka National park. Just head upstream and prick up your ears - the song of the seven falls amidst lush greenery will awe you even without the birds joining in. In the Visovac lake, the eponymous island holds a Franciscan monastery surrounded by a tall green army of cypresses, poplars and willows. 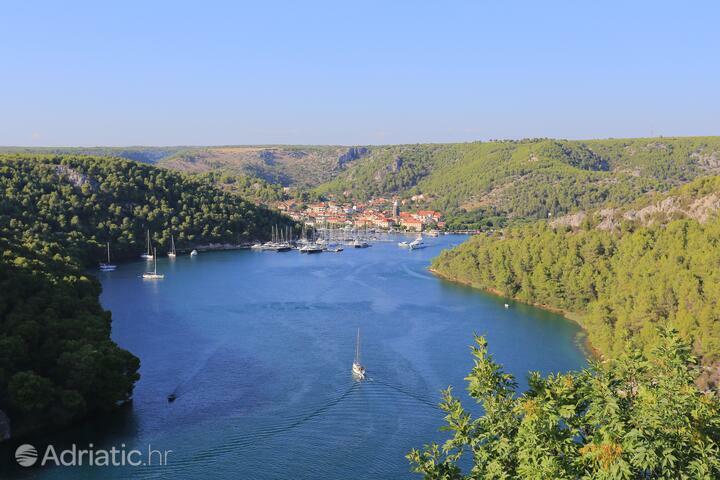 Krka - What to do, what to see?